Opal & Wonder is a shop full of yummy smelling goodness. I must admit than when searching for candles, I want them to look as lovely as they smell. 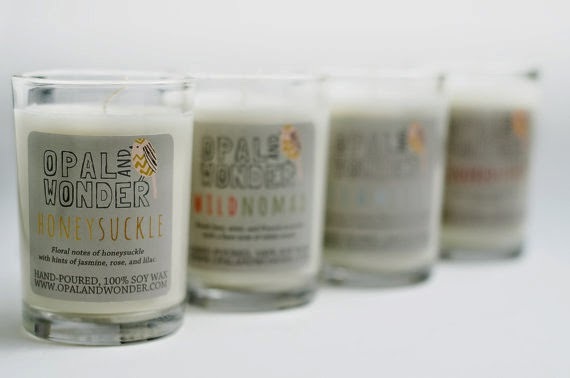 I love the eclectic look of Opal & Wonder, and their scents are so pure. Opal & Wonder offers 8 oz and 4 oz soy candles as well as wax melts and reed diffusers. that I prefer a wax warmer. Opal & Wonder has all those options covered! I have been enjoying it every morning since it came in the mail. I also love that it doesn't put off a bunch of soot and smoke as it burns- bonus! keeping it smelling fresh and clean. Opal & Wonder has amazing gift ideas for the ladies you might be buying for this Mother's Day! 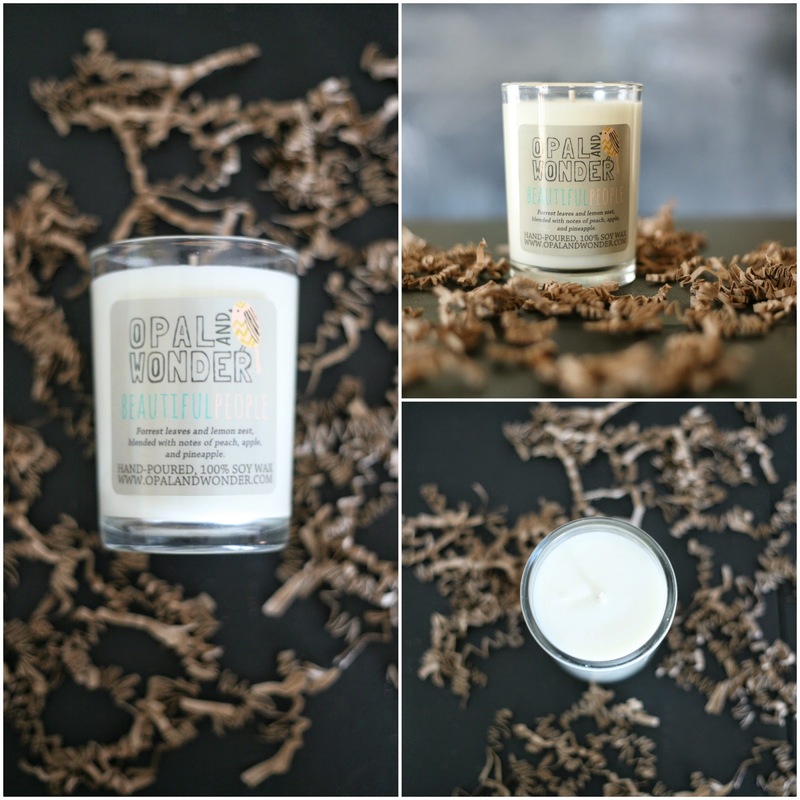 The scents are dreamy and the candles are beautiful sitting on a counter top or dresser. 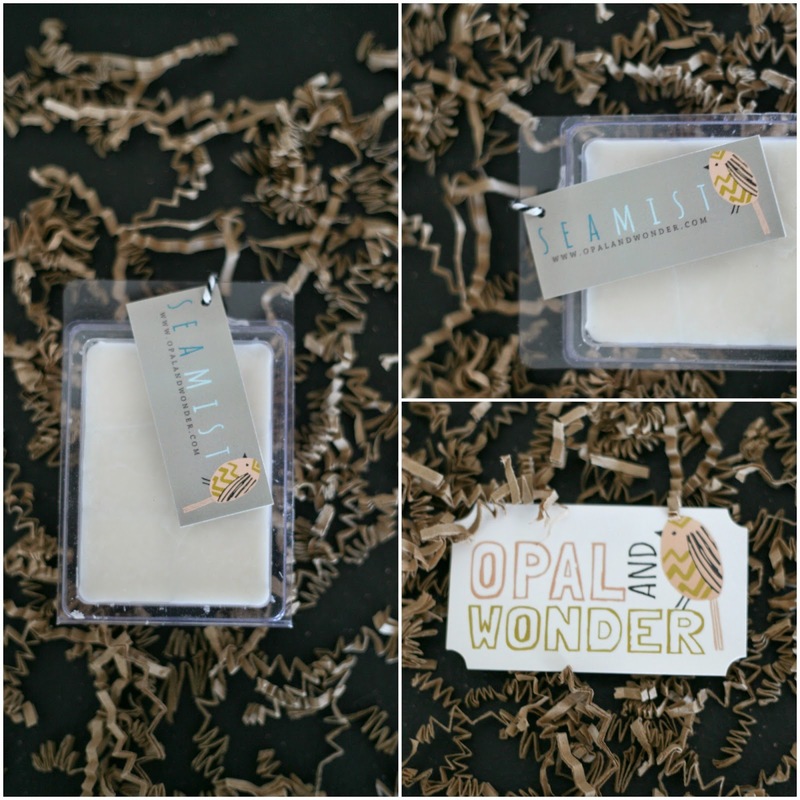 Opal & Wonder is giving one of you lucky readers TWO- 4 oz. candles!!! You also receive 15 % off at checkout when you order and use QUICKJOURNEY15 (expires May 1)!!! id like to try honeysuckle! I'd love to try Beautiful People and Wild Nomad! I would like to try the chai tea scent. I'd try apple spice and peacemaker! I would love to try the honeysuckle scent! Sea Mist sounds very fresh and inviting. HI! The peppermint cheer sounds wonderful! Thank-you! I'd love to try Sea Mist or Mountain Air! I can't decide between chai tea and beautiful people. I can't decide between chai tea and beautiful people! I'd like to try Mountain Air! I'd love to try the Chai Tea and the Peacemaker candles. I would love to try the honeysuckle, thats my favorite scent and haven't been able to find one that I like in a wihle!